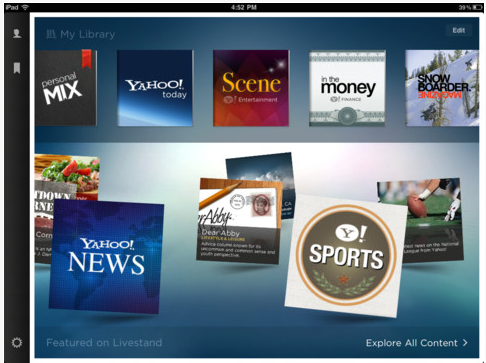 Livestand from Yahoo is the latest offering to hit the iPad daily news apps area. It carries enough differences to make it perfect for many users over another options. Many people start their day off, or take time through their day to dive in to grab news. Each person’s needs can be a bit different between local news, international news, entertainment, technology… and the list goes on and on. The best of the news apps attempt to bundle the info a person is interested in so to be the default provider rather than user’s having to go to many sources. Yahoo’s Livestand takes that need serious as it allows a person to set up their starting area to be a quick reference point for weather, news, horoscopes, stocks and even TV. The information beyond the start up page looks like personalized magazines. 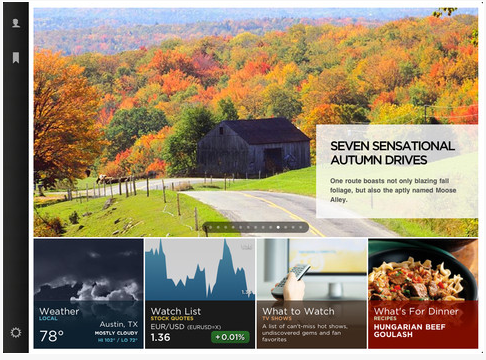 Where users group their interests into a ‘magazine’ that will pull from multiple sources. 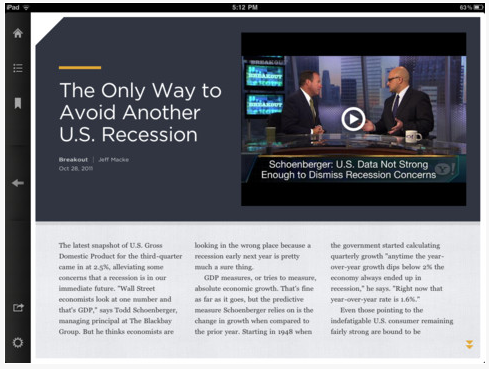 Livestand leans towards presenting news as the images that represent the content, with a tap to drill down to the full article which can include steaming video. The personalized start page of Livestand can be customized for up to 4 different users, so several users in a house or at the office can have their unique needs met.